Here’s the way, liberals in particular, and politics in general work. If a statement is repeated enough times, it must be the truth. It doesn’t matter if it was wrong to begin with, or if it even ever had a shred of truth. As long as nobody disputes it with contradictory facts, it’s true. It’s especially true and bears repeating if it coincides with your own beliefs or feelings. I’d like to think that I’m not one of those people and here’s an example of why I think that way. Let’s take guns for instance. Liberals want to eliminate Joe Ordinary Citizen from the role of gun owners. Oh, it’s OK for their bodyguards to have guns, but not Joe. I really have a hard time understanding why supposedly intelligent people want to eliminate guns from the hands of responsible citizens instead of enforcing the existing laws that say ‘bad guys’ shouldn’t have guns. The bad guys are already defined. Joe Ordinary Citizen is not the bad guy. Convicted Armed Robber Charles is. Adjudicated Insane Irene could be a bad guy. Let’s keep all sharp objects out of Irene’s hands as well. Citizens of reasonable mental faculty, who have not shown a propensity for violence and just want to protect themselves and their families from bad guys, should have the right to do so. And, I do believe, there should be a definite line at the point of citizenship. Bulk granted amnesty and naturalization without background checks would not confer that right. Why today? Why rant about this today? The answer is quite simple. Hillary has accused the United States of America of being the primary force driving the drug wars South of our border with Mexico that are now bleeding into the U.S. She has said, and it’s been repeated by virtually every liberal, that 90% of the guns used by the Mexican drug lords come from the United States. It’s the fallacy heard ’round the world. Mexico Felipe Calderon immediately echoed Hillary’s statement, shirking any Mexican responsibility for the murderous Hispanics. A little research finds that the statement is false. According to a spokesperson for ATF, the facts were originally misstated. The truth is that 90% of the firearms ‘that are returned to the U.S. for tracing’, originated in the U.S. But only about 17% of the firearms seized or captured are returned to the U.S. for identification. Illegal aliens, living in the United States, sent or carried many of those guns home to friends and relatives in the drug trade. That leaves 83% of the seized or captured weaponry that are identified and traced to Russian bloc countries, South Korea, Spain, China, Asia, Africa, other Latin American countries. The liberals want to harbor potential terrorists in our cities, among the citizenry when they are released from the Guantanamo Bay facility. Overcrowded prisons are releasing bad guys into society before their sentences are even served. Parolees, at routine traffic stops are shooting police. Violent home invasion robberies, car jackings and armed robberies are becoming more and more common. And, the list of bad guy presence continues to extend itself. Police may respond to a 911 situation in three to five minutes. That’s commendable, but what if some bad guys have broken into Joe’s home, beaten him to a pulp or stabbed three family members in two minutes? Doesn’t it make sense that Joe Ordinary Citizen should have the opportunity to protect and defend him and family using a personal weapon? Good people using guns can stop the bad guys trying to kill them. Let’s have this administration enforce the laws against bad guys so that Joe Ordinary Citizen can live in peace. I’m not afraid of Joe. I’m not even concerned about Joe. In fact, I would want Joe to come to my aid with his gun in the event that a bad guy with one imperiled my life. State the lie, repeat the lie, keep the truth from the public and get your way – YOUR GOVERNMENT AT WORK. 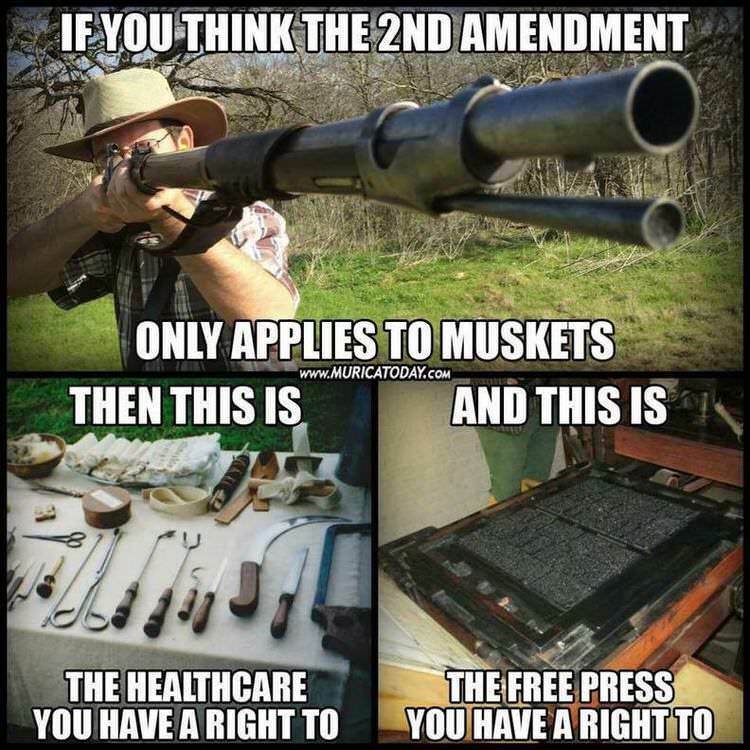 You are currently browsing the archives for the Liberals and Guns category.